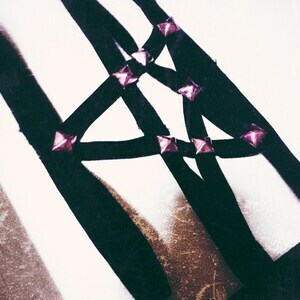 Spiked and studded double garter is handmade and made to order. Looks great as a pair! Save $5 when you buy as a pair.